The hard cosmetic brush is ideal for tinting long, full eyelashes. With the wide bristle the eyelashes are quickly covered. 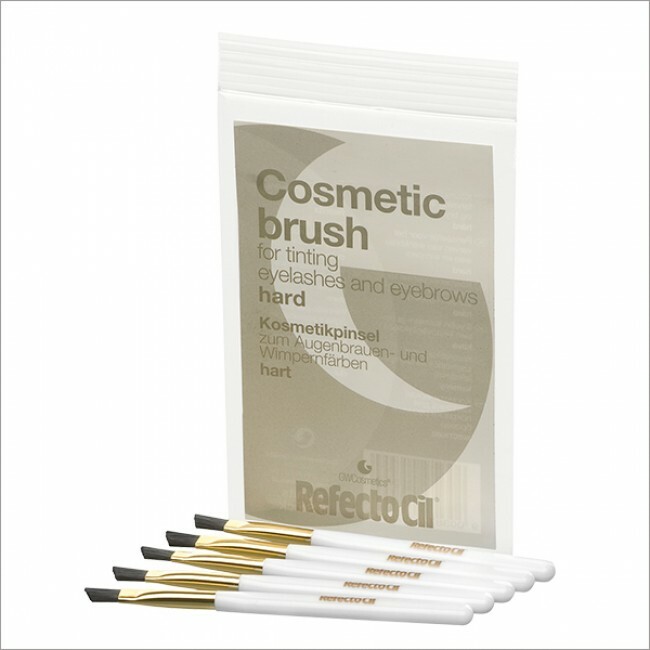 Especially for RefectoCil Blonde Brow the cosmetic brush is a "MUST", because the hard, wide bristle makes it possible to mix the blonding paste to a creamy mass and work it into the hairs.